You can live quickly with a bag! 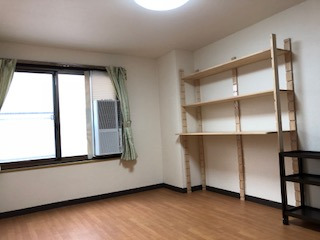 There are different types of single rooms (unfurnished) available for resident use. 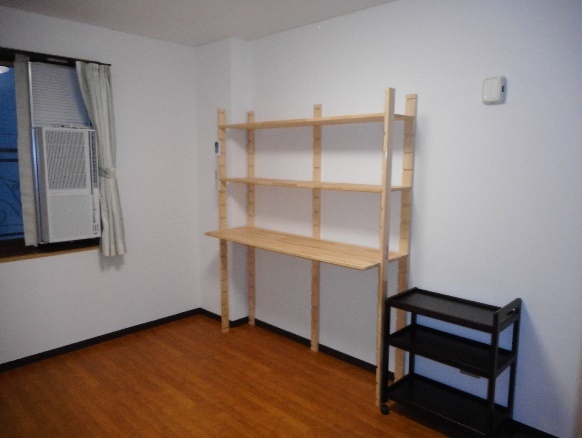 There are also fully furnished single rooms available for shorter term (1 to 3 months) !! We welcome guests from all countries regardless the age nor gender. 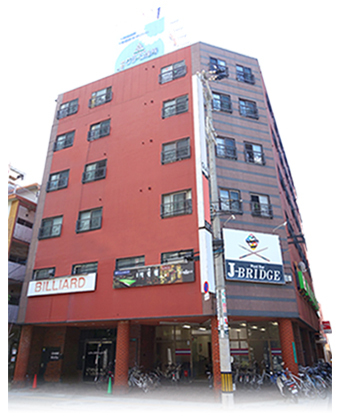 It is an ideal accommodation for long-term stay for business use and travelers from overseas! 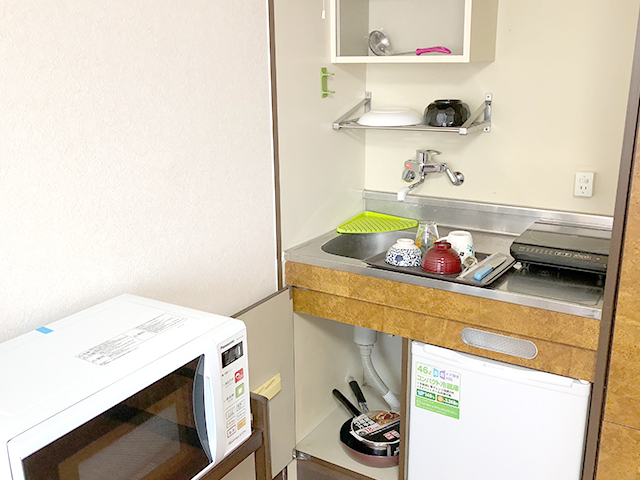 Subway Midosuji Line “Namba Station", Subway Sakaisuji Line “Ebisukucho Station"
We are located at convenient area to go anywhere in less than 5 minutes from the location such as railways and subway stations. 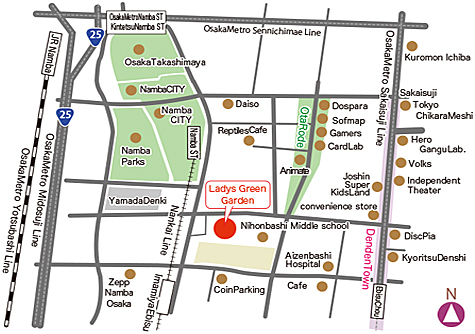 2-minute walk to Osaka Nippombashi and Denden town area. 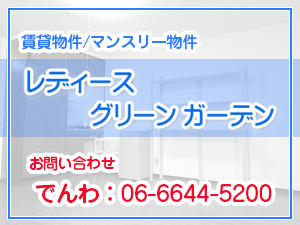 ■ Please contact us by e-mail or telephone if you wish to see the rooms. 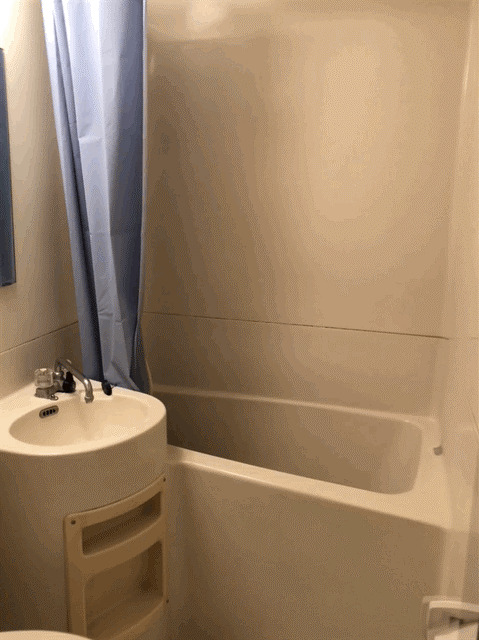 ■ In addition to rooms for resident contract (i.e. yearly contract ), we also offer fully furnished monthly contract rooms. ■ Please feel free to contact us for vacancies or any inquiries. 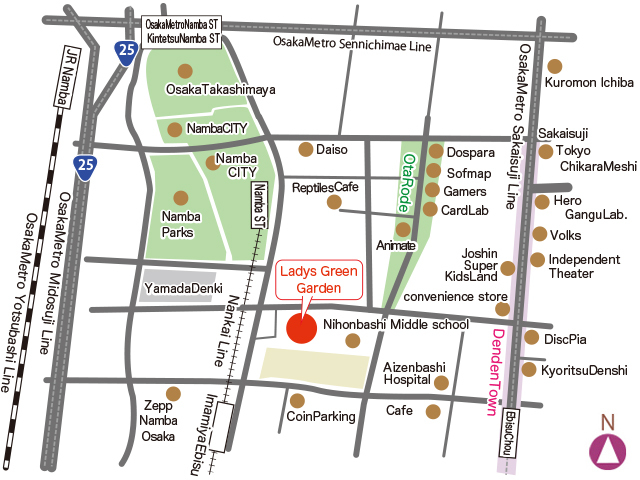 ■ For shorter stay, please contact Weekly green in Namba. 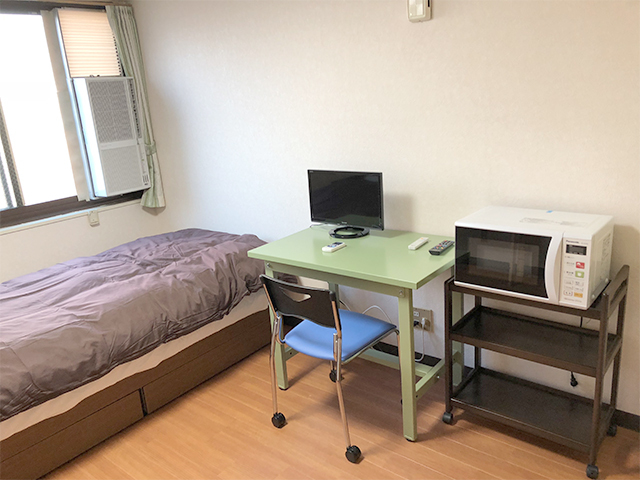 Weekly Green in Nanba provides various room types. Resident and monthly contract is signed in person, after viewing the actual rooms together. Wi-Fi available in all rooms! This room is for yearly rent. ・Data No.1... Comfortable life!!!! / Fully Furnished!!!! ・Data No.2... Comfortable life!!!! / Full Furnished!!!! This is a furnished room for monthly rent. ・Data No.3... Comfortable life!!!! / Fully Furnished!!! 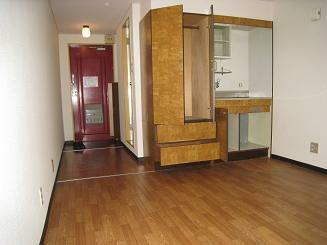 For short term accommodation, please contact Weekly green in Namba. 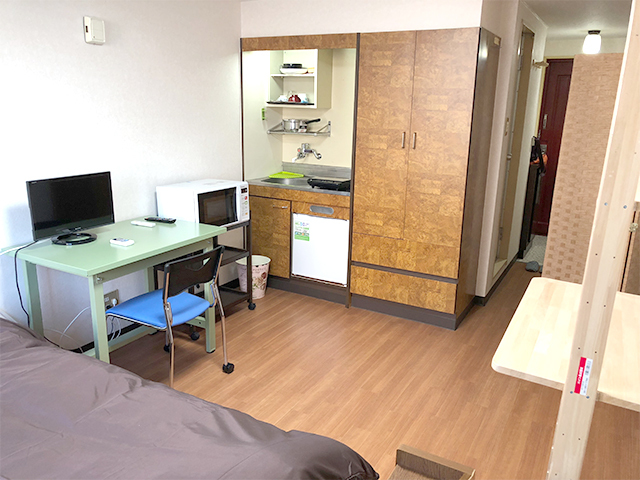 Abput 5-minute walk from Namba station of Nankai railway and subways (Y15),(S16),(M20). 5-minute walk to subway Ebisucho station (K18) of Midousuji line. Copyright © Lady's Green Garden All Rights Reserved.